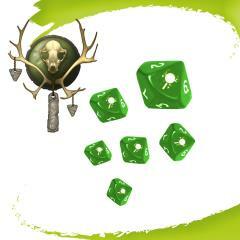 Dice packs are available for every army. They are perfectly suited for collectors! Each pack contains ten dice themed with the army logo.